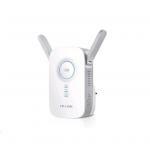 "Easy to set up and it has good range, better than the original router. A note though this is the second one if these I've bought. The previous one started to have problems with the 5g range after 18..."
"Simple & easy to install, works well." 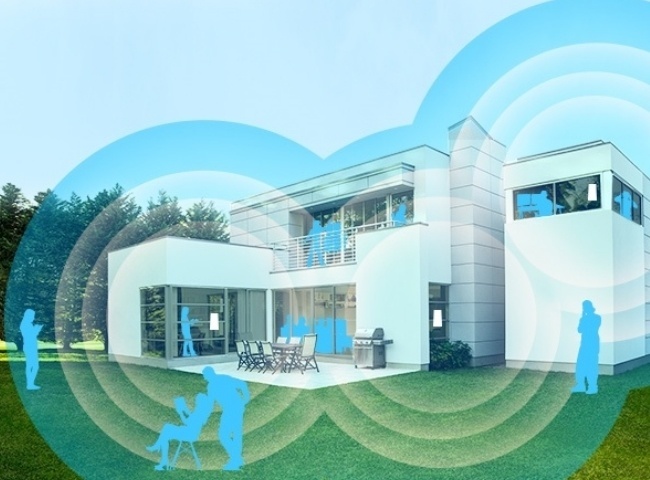 Optimize your existing WiFi network and extend it to hard-to-reach places with the next generation AC WiFi technology. 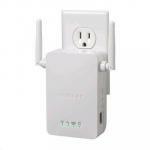 AC750 WiFi Range Extender delivers fast WiFi speed and connectivity for smartphones, tablets, laptops and more - allowing you to enjoy your favorite entertainment throughout your home. Ethernet cable. 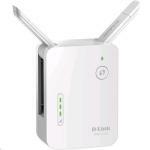 or connect the TV's Wi-Fi to the extender network. It would connect to my device and say it was connected but thensay it couldn’t reach any signal, even if I was sat right next to the main modem. When connecting a second device at the same time, it told me that only one device at a time could connect to it and booted the other device off. I took it back and got a refund. I went home, run a scan on channel interference and changed them accordingly for 2.4 and 5GHZ, moved the modem about 4 meters and BOOM! No more dead zones. 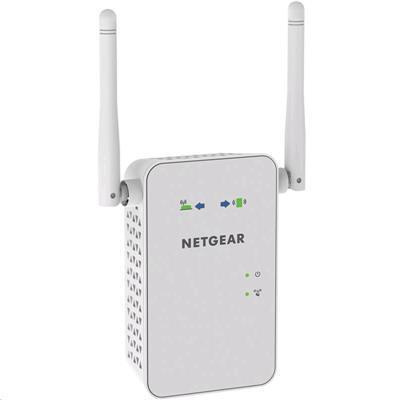 Easy to set up and it has good range, better than the original router. A note though this is the second one if these I've bought. The previous one started to have problems with the 5g range after 18 months. It would only work on 5g if physically plugged into the network. 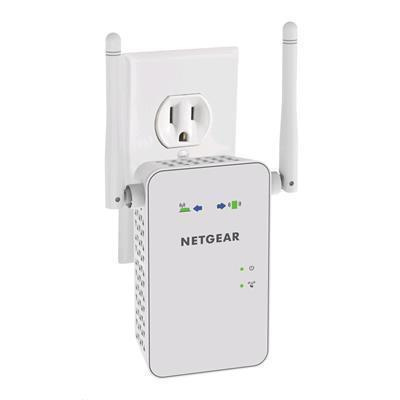 Guess we'll see with this one.Easy to set up and it has good range, better than the original router. A note though this is the second one if these I've bought. The previous one started to have problems with the 5g range after 18 months. It would only work on 5g if physically plugged into the network. Guess we'll see with this one. Simple & easy to install, works well.Simple & easy to install, works well. 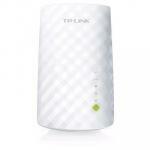 Real simple to install and get going and has made a real difference to wifi coverage across the rather large house. The wife and kids are far less grumpy now!Real simple to install and get going and has made a real difference to wifi coverage across the rather large house. The wife and kids are far less grumpy now! Simple - effective. More power than my base router. What more do you want?Simple - effective. More power than my base router. What more do you want? Easy to install easy to configure works a treat. Can also be hardwired to the LAN which is a cost effective option to other choices when wanting to extend your WIFI using an existing LAN. 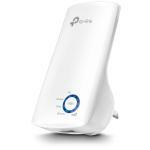 It also only needs 1 power point versus Mains WIFI extenders that use 2 power points and your mains power circuit to extend the lan.Easy to install easy to configure works a treat. 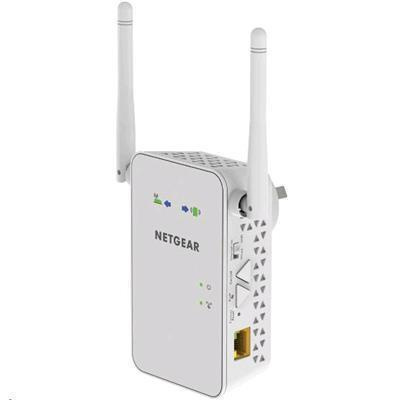 Can also be hardwired to the LAN which is a cost effective option to other choices when wanting to extend your WIFI using an existing LAN. It also only needs 1 power point versus Mains WIFI extenders that use 2 power points and your mains power circuit to extend the lan. 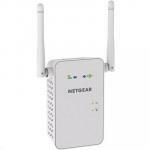 NETNGR6210 NETGEAR A6210 Dual Band AC1200 HIGH GAIN Wireless USB Adapter 30+ $73.01 +GST$83.96 inc. Normally: $128.69 Normally: $147.99 $125.42 ex. $144.23 inc.